The effectiveness of United Nations (UN) action to promote human rights and prevent massive violations grows by small steps. However, the steps, once taken, serve as precedents and can be cited in future cases. Once the steps taken, it is difficult to refuse such action later. 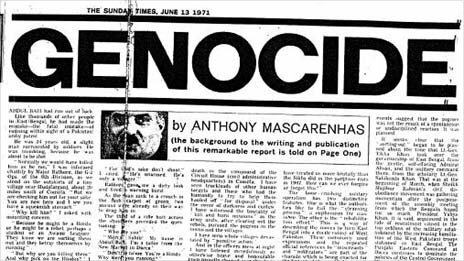 2) The massacres and refugee flow from East Pakistan, now Bangladesh, in 1971. I will contrast briefly the Special Session on Iraq held on September 1, 2014 in Geneva of the Human Rights Council with efforts at the Sub-Commission on Prevention of Discrimination and Protection of Minorities in August 1971 when I was among the representatives of nongovernmental organizations (NGOs) which had signed a joint appeal to the Sub-Commission for action in East Pakistan. 2) The speedy creation of a UN Committee of Inquiry by using members of the UN human rights secretariat. The massive violations of human rights in those parts of Iraq and Syria held by the IS is the first time that a major UN human rights body, the Human Rights Council or the earlier Commission on Human Rights, deals with an area not under the control of a State. The diplomats working on a Special Session decided to focus only on Iraq. If Syria had been included, the actions of the Syrian government would have had to be considered as well. Holding non-State actors responsible for violations of UN human rights norms is an important precedent and can have wide implications. The Declaration of the Eliminations of All Forms of Intolerance and Discrimination Based on Religion or Belief, adopted by the UN General Assembly on November 25, 1981 sets the standard − a standard repeatedly being violated by the forces of the IS. 4) The Commission of Inquiry on Gaza. 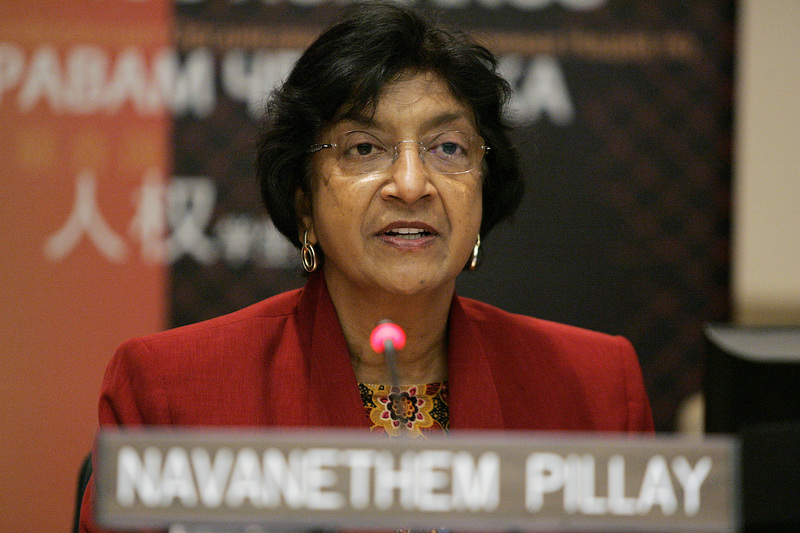 It was under Navanethem Pillay, who was the United Nations High Commissioner for Human Rights from 2008 to September 2014, that all of the existing four UN Commissions of Inquiry were created. The world has the former High Commissioner to thank for such valuable efforts in defense of human rights. Each commission has three, sometimes four, members each from a different geographic zone. The members have usually had experience in UN activities, and the chair is usually someone who has a reputation beyond his UN efforts. Since the commissions are usually not welcomed by the government of the country to be studies, the fact-finding is done by interviewing exiles and refugees. NGOs, scholars as well as governments can also provide information in writing. The commission reports rarely contain information that is not already available from specialized NGOs, journalists, and increasingly the Internet. However, the commission reports give an official coloring to the information, and some UN follow up action can be based on the reports. It takes a good deal of time to put these commissions together as there must be regional balance, increasingly gender balance, as well as a balance of expertise. Moreover, the people approached to be a commission member are often busy and have other professional duties. It can sometimes take a month or more to put together a commission. In light of the pressing need presented by the situation in Iraq, it was decided that the members of the fact-finding group for Iraq would be members of the Secretariat of the Office of the High Commissioner for Human Rights so that they can get to work immediately. For the UN, this is a major step forward and must have led to a good deal of discussion before the proposal was presented in the resolution. As it is, India and China objected publicly in official statements just before the final resolution was accepted. Both States maintained that using Secretariat members went beyond the mandate of the Office of the High Commissioner. They were worried by the increasing investigative role of the Office which should be limited only to helping develop national capacity building. Iraq today, Kashmir and Tibet tomorrow. The Indians and the Chinese are probably not the only governments worried, but they were the only States which spoke on the issue, Objecting strongly but saying they would not block consensus on the resolution. In contrast to these steps: I had followed as closely as possible, from Geneva, the events in East Pakistan, having at one stage helped a representative of the Bangladesh opposition to speak to relevant diplomats in Geneva. Later, he became the Ambassador of Bangladesh to the UN in Geneva, and for a year was president of the Commission on Human Rights. In December 1970, the Awami League led by Sheik Mujib Rahman won a majority of seats in the national assembly. The government of Pakistan refused to convene the national assembly, since it would result in shifting political power from West to East Pakistan. For three months, the government and the Awami League tried to negotiate a political settlement. On March 25, 1971, the government discontinued negotiations and unleashed the Pakistan army against the civilian population of East Pakistan. Hindus, members and sympathizers of the Awami League, students and faculty of the universities and women were especially singled out. These atrocities continued until the Indian army which had been drawn into the conflict, in part by the large number of refugees that had fled to India, took control of Dacca on December 1, 1971. When India gained independence from Britain in 1947, the predominantly Muslim-inhabited parts of the former colony became a separate country called Pakistan. Originally a Dominion within the British Empire, Pakistan eventually established a republic of its own in 1956. 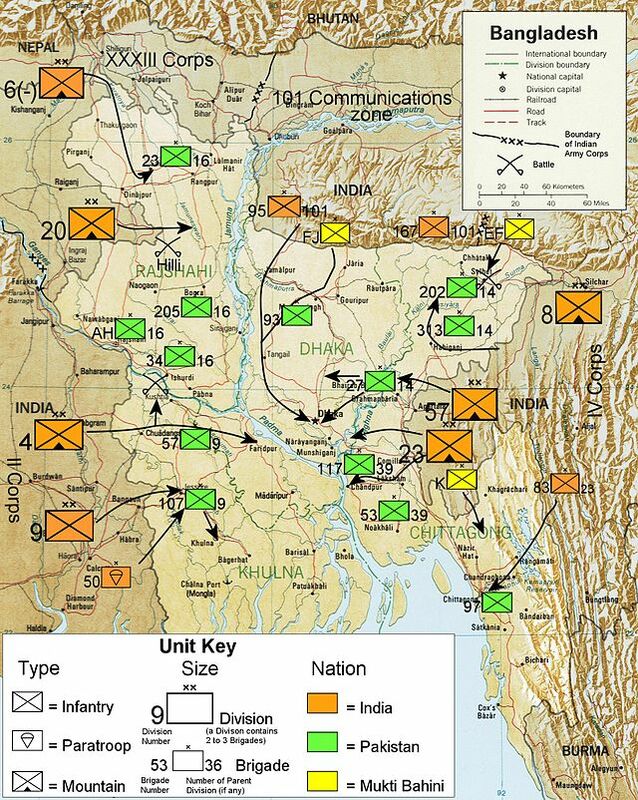 In March 1971 the province of East Pakistan launched a war of independence, waged by an armed force called the Mukti Bahini, also called the Bengali Liberation Army, and the Indian military which came to the aid of the rebels. Eventually, in December 1971 Pakistani troops were defeated and East Pakistan became a sovereign nation with the name of Bangladesh. The UN Security Council was unwilling or unable to deal with the human rights situations in East Pakistan. The U. S. government strongly supported the Pakistan army while the Soviet Union supported India. For NGO representatives our hopes rested on the Sub-Commission on the Prevention of Discrimination and Protection of Minorities which was to meet in Geneva from August 2 to 20, 1971. At the time, the Commission on Human Rights and the bulk of the human rights secretariat was still in New York. However, the Sub-Commission would meet in Geneva once a year, usually in July or August. The Sub-Commission members were not diplomatic representatives of governments as was the Commission on Human Rights. Rather they were “independent experts”. The saying among NGOs was that some were more independent than others, and some were more expert than others. Most were professors of law in their countries − thus the August dates when universities were on vacation. It was easier to have informal relations with Sub-Commission members than with diplomats, and NGO representatives could get advice on the best avenues of action. NGOs had two formal avenues of action. We could present written statements that were distributed as official documents, and we could make oral statements, usually 10 minutes in which to develop ideas and to call attention to additional elements in the written statement. Written statements could be that of a single NGO or, often to give more weight, there could be a “joint statement”. On the East Pakistan situation, with the violence being covered by the world media, it was decided to have a joint statement. The statement called upon the Sub-Commission “to examine all available information regarding allegations of the violation of human rights and fundamental freedoms in East Pakistan and to recommend measures which might be taken to protect the human rights and fundamental freedoms of the people of East Pakistan”. Twenty-two NGOs with representatives in Geneva signed the joint statement, and John Salzberg, a representative of the International Commission of Jurists, made an oral statement presenting the written joint statement. Government representatives were always present in the room and had the right to make statements (and also to try to influence the independent experts behind the scene). Najmul Saguib Khan, the independent expert from Pakistan contended that the Sub-Commission could not consider East Pakistan since the UN role in human rights “did not extend to questions arising out of situations affecting the sovereignty and territorial integrity of Member States and that attention to such situations would encourage those seeking the dismemberment of Member States.” The Indian diplomat, N.P. Jain, replied highlighting the influx of eight million refugees into India. The Sub-Commission members took the “diplomatic way out” and said nothing. In drafting the report of the session, one member, Adamu Mohammed from Nigeria proposed deleting any reference to the discussion on East Pakistan. He held that the Sub-Commission had listened to, but had not considered the statements made by the representative of the International Commission of Jurists, the Sub-Commission member from Pakistan and the observer of India. The NGO representatives were saddened by the lack of action but not totally surprised. No other UN human rights body took action, and the massacres stopped only after the ‘lightning war’ of India defeated the Pakistan army and occupied the country until a Bangladesh government could be set up. There remains real danger that the situation in Iraq and Syria will continue through military means, but at least progress has been made within the UN in calling attention to conflicts within a State and holding all parties responsible for maintaining the standards of human rights.